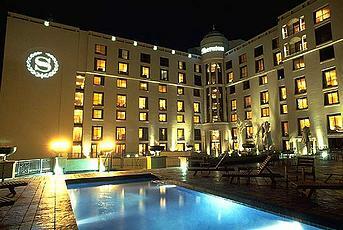 We look forward to welcoming you to the Sheraton Pretoria Hotel. Ideally located in the capital of South Africa, Sheraton Pretoria Hotel overlooks the magnificent Union Buildings and the seat of government with its picturesque gardens. Find total comfort in our 175 guest rooms and suites, including 43 Club rooms. Settle in and experience the celebrated “ahhhh” of the Sheraton Sweet Sleeper(SM) Bed. Services such as wireless Internet access, 24-hour room service, a gymnasium, meeting facilities, and a transport and safari desk will add convenience to your stay. Bring friends and colleagues together to try the delicious buffets at Magnolia or South African cuisine at our 643 Grill. We will listen to you and help plan an event in a space tailored to your needs.